Impact Investment Funds and Business Angels who are interested in investing in SMEs in the agricultural sector in developing countries. 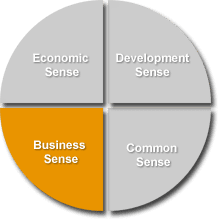 Sense helps impact investment funds to select and analyse investment opportunities (due diligence). Site visits to the factory, suppliers/ farmers, markets etc.